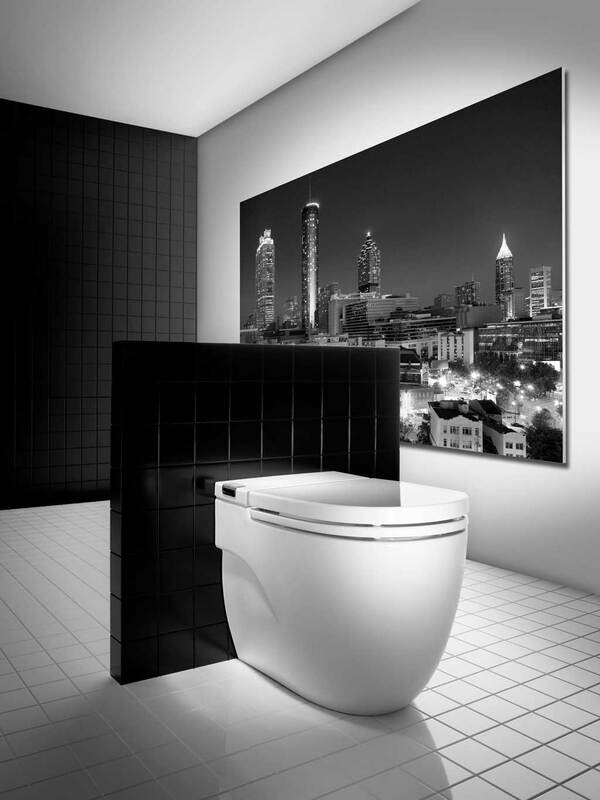 Roca has effectively revolutionised the wall-hung market with the introduction of the In-Tank Meridian WC. This integrated cistern removes the need for installation systems incorporating a separate concealed cistern, frame and flush plate. The wall-hung option is supplied with either a straight or L-shaped support, enabling it to be fitted to solid or cavity walls with the support frame built-in. 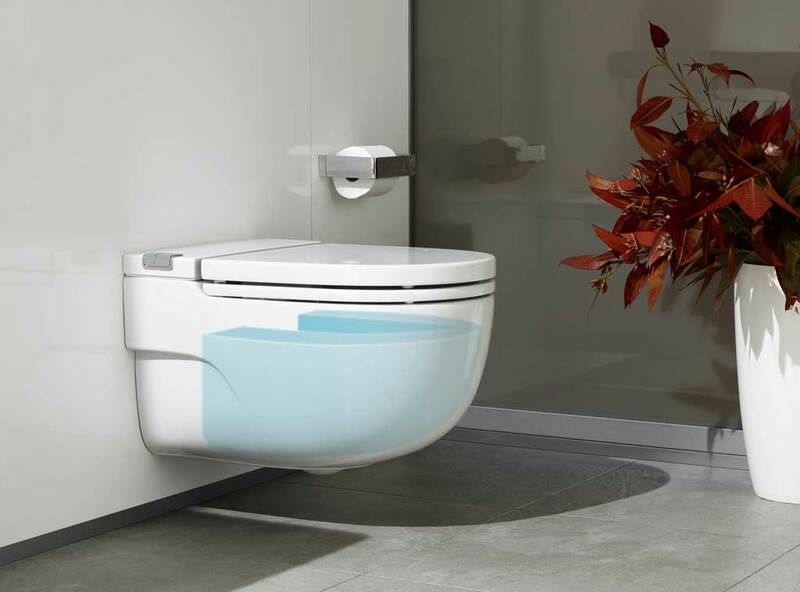 The In-Tank Meridian, already a compact product with a projection of just 595mm, requires even less installation space than normal back-to-wall and wall-hung WCs, thereby offering greater flexibility of positioning, and saving on installation complexity, time and materials. The dual flush is operated by electronic buttons at the rear of the WC and uses 4.5 or 3 litres of water, giving an economical 3.4 litre average flush. The flush mechanism uses new Soft Air technology, developed in conjunction with FluidMaster. 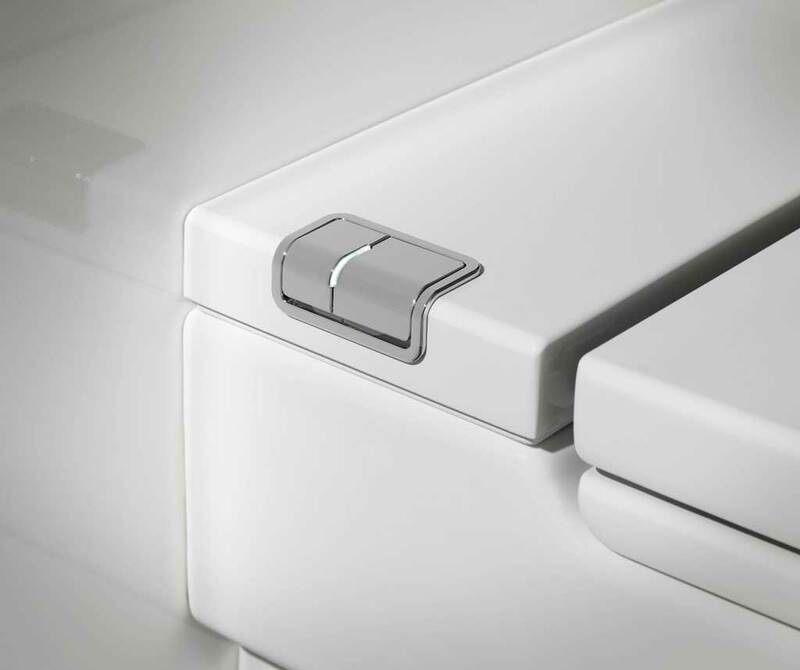 The flush buttons activate an air pump that emits a flow of air which pushes water up from the internal cistern to fill the rim of the pan whilst the downward flow clears the bowl. Both WCs will carry the Water Label, as they are independently verified as being water efficient.